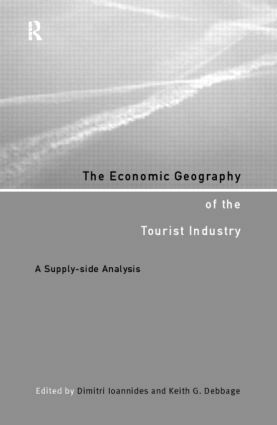 The Economic Geography of the Tourist Industry bridges the gap between tourism research and economic geography by bringing together leading academics in geography, planning and tourism. The authors explain tourism's definitions and examine whether tourism can be categorized as an industry. They provide detailed analyses of key sectors, such as tour operators, airlines and the hotel industry from a broad international perspective. The book also explores issues such as business cycles, labour dynamics, entrepreneurship and the role of the state in tourism and concludes that the production of tourism-related services has characteristics commonly associated with 'harder' production sectors, such manufacturing and producer services.